After the football game, Orville Osentoski, Canton High's eighteen-year-old center, fell asleep in a locker room toilet stall. The team bus left without him. What happened next would change his life, and the lives of many others, profoundly and irrevocably. The story ponders the question of whether we choose our lives, or if our lives choose us. The very best novels give us a glimpse into areas of life we may not even have known existed. 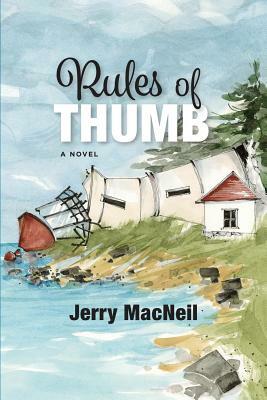 MacNeil does this brilliantly in Rules of Thumb, a knowing, affectionate, and moving slice of life in a small pocket of Michigan's southern peninsula known as "the Thumb." Eccentric characters abound (think "Fargo" without the blood), and MacNeil knows them well--for all we know, he might be one of them. Either way, they're irresistible, and you'd do well to let this extraordinary debut novel draw you deeply into their world. - Lee Gruenfeld, best-selling author of Halls of Justice and Becoming Holyfield.